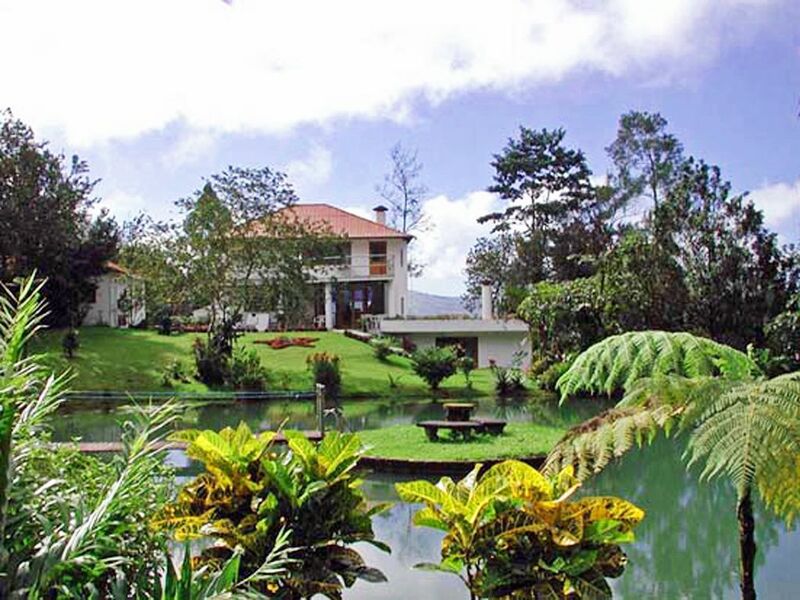 We were in Costa Rica for 3 weeks and Villa Encantada was our 3rd stop on our adventure. The villa and grounds are even better than the pictures. Words cannot describe the beauty of the well manicured grounds and natural landscaping. The waterslide and pool were such a blast! Having a waterfall on site that you can actually sit under was over the top. He is currently developing a 9 hole golf course on site. We thoroughly enjoyed the monkeys, parrots, toucans, and his 2 lovely peacocks that live on site and will gladly eat from your hand. The artwork and personal touches in the house are a reflection of Glenn not only in the house but throughout the entire property. Glenn was in close contact with us prior to our trip and went out of his way to make our stay a memorable event. He is wonderful in every aspect. We would love to give him a rating higher than 5, he deserves it. Thank you Glenn for all your help and applause to your house and ground staff. We will relieve this trip for a life time and truly hope to return with family. Thanks so much for your beaming and detailed (5 Star++) Guest Review. It was great hosting such an enthusiastic and friendly group for 5 nights at Villa Encantada ~~ your group of 7 persons (of life long friends) was truly a delight for me... such camaraderie of your group is a rare and delightful gift to experience. Truly rewarding for me was your comment that your visit was all and more than you had expected or hoped for and that you will be reliving this memorable visit at Villa Encantada for a lifetime and that you will be returning with family for a 2nd visit and we look forward to seeing your smiling faces once again. I'm glad that I was able to be of assistance in the planning of your activity excursions and that our Chef Nixon and my wife Chef Patricia did a great job in preparing meals on site for your group.